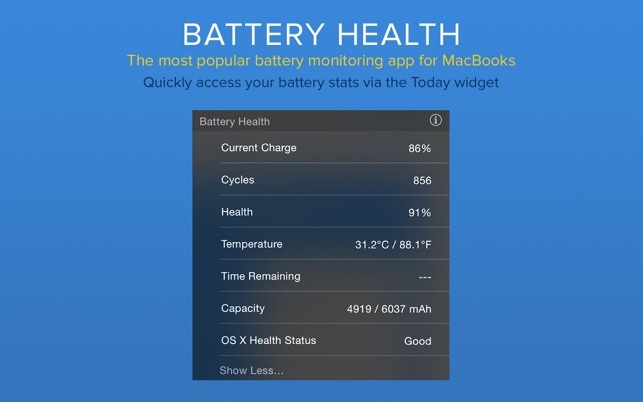 With Battery Health, you can easily see all the important information about your MacBook's battery, such as current charge level, battery capacity, power usage, number of times it has been charged and much more. 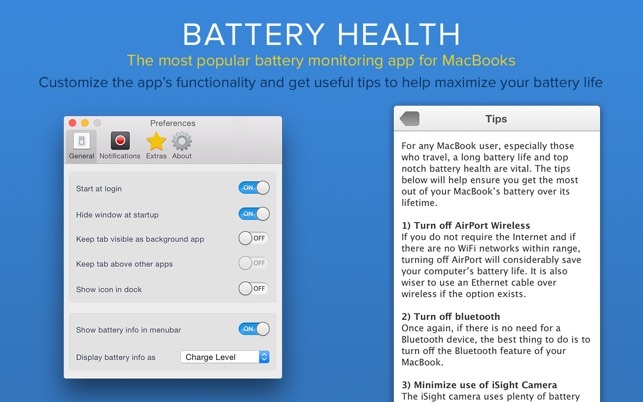 Be sure to check out the 'Tips' section within the app to learn a host of useful ways to improve the life of your MacBook's battery. 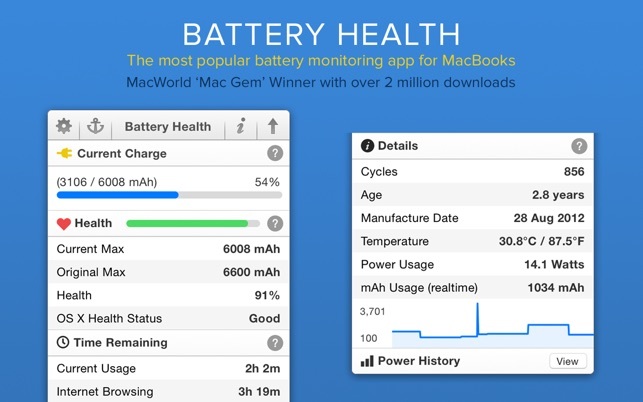 My Apple MacBook Pro had a replecemnt battery 2 years ago. Now, the battery is clearly in poor health as it only offers 45 minutes use instead of 4 hours. However the Battery Health app confidently states that the health is 101% with Time Remaining showing as 3hs 39 when just 44% battery power remains having dropped by 10% in the last 5 minutes! very good layout: information clear!! Like it!! only drawback is that the the monitor window is cut off in way of the graph of usage, at bottom of my computer screen (macbook pro 13 inch). 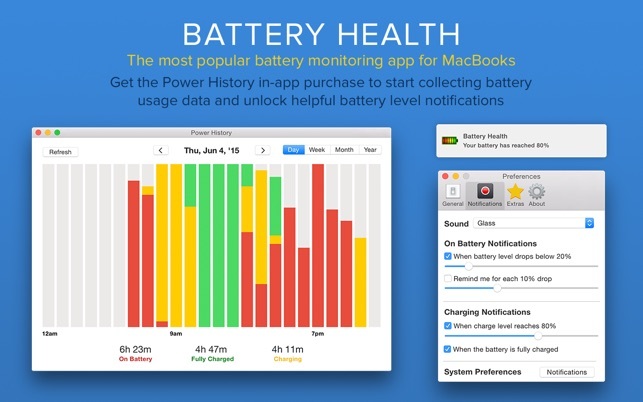 A very usefull app to know how old and healthy is your battery. And also how much time is left before low bettery, especially since the last Mac OS update.